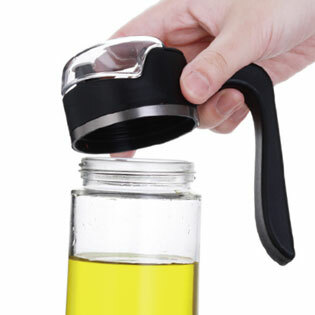 The AUTOPOUR uses a smart lever handle to open the lid when you pour. 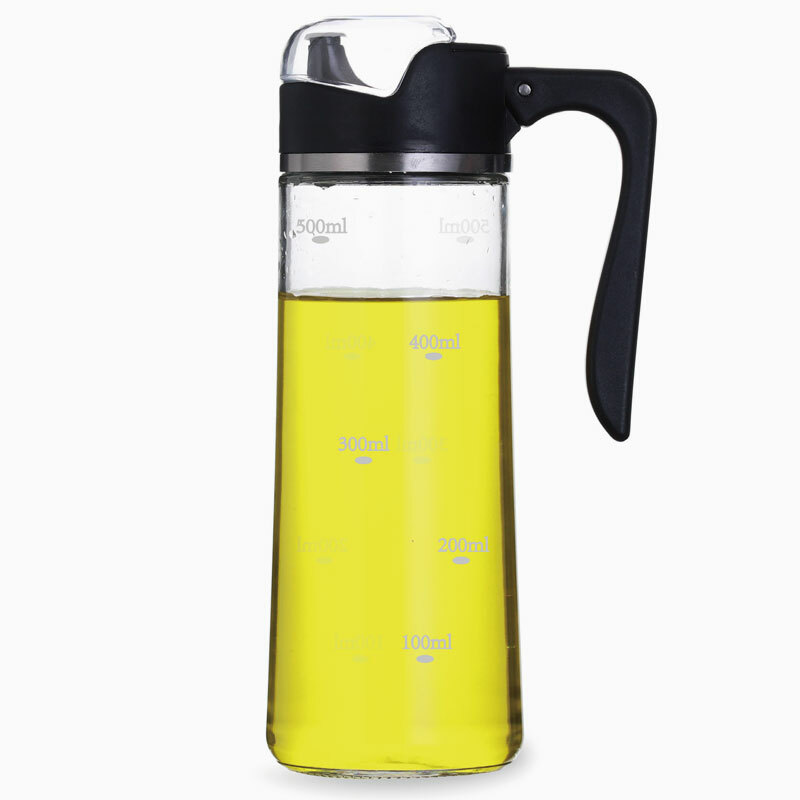 The oil or vinegar flows out of a non-drip spout. 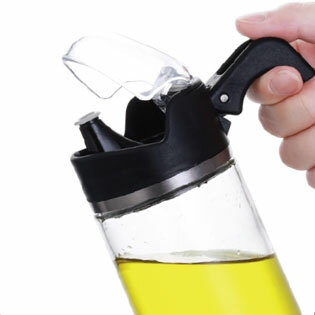 When you tip the bottle up, the handle closes the lid, protecting from dirt and drip. 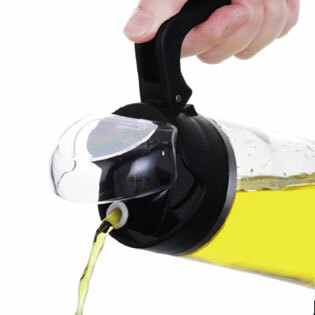 Auto open handle means convenient pouring. Auto-close lid keeps dirt away. Non-drip spout gives a clean pour.